The Battle of Lepanto was one of the great naval battles of European history, in which the Christian forces of the Holy League gained an important victory over the Islamic forces of the Ottoman Empire, which was rapidly expanding westward and set on conquering Western Europe. The Holy League was a Catholic alliance composed of the Italian states of Venice, Genoa, Tuscany, Urbino, Savoy, the Papal States, the Knights of Malta and the Spanish Empire with Naples and Sicily. Ferrara, Mantua, Lucca and Parma also joined the Holy League, but did not partake in the Battle. 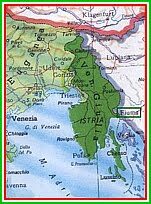 Istria and Dalmatia, which belonged to the Republic of Venice, participated in the Battle under the Venetian banner. The League was organized by Pope Pius V – born Antonio Ghislieri on January 17, 1504 in Bosco Marengo, Piedmont, Italy (then part of the Duchy of Milan) – who dedicated all his energy to creating an alliance of Catholic states in an effort to raise a Catholic army in order to defend Christendom from the aggression of the Ottoman Empire. The Battle of Lepanto took place on October 7, 1571 and ended in a glorious victory for Christendom, and a crushing defeat for the Ottoman Empire. The Christian casualties were 7,656 dead, 7,784 wounded; the Turkish casualties were 30,000 dead or wounded, 8,000 captured. Approximately 15,000 Christian slaves aboard the Ottoman ships were liberated. The victory at Lepanto banished the Ottoman fleet from the Western Mediterranean, caused the decline of Ottoman maritime power, put a halt to Ottoman expansion, and saved Western Europe. It was also the last naval battle in the Mediterranean fought entirely by man-powered galleys. 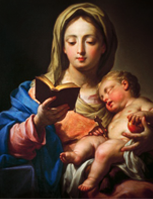 The feast of “Our Lady of Victory” (later changed to “Our Lady of the Rosary”) was instituted by Pope Pius V to commemorate the Battle, and continues to be celebrated by the Catholic Church each year on October 7. The victory at Lepanto is a source of pride and joy for all Christians, but the Battle is particularly dear to the hearts of the Italians, including those of Istria and Dalmatia, who lost many men in the engagement. 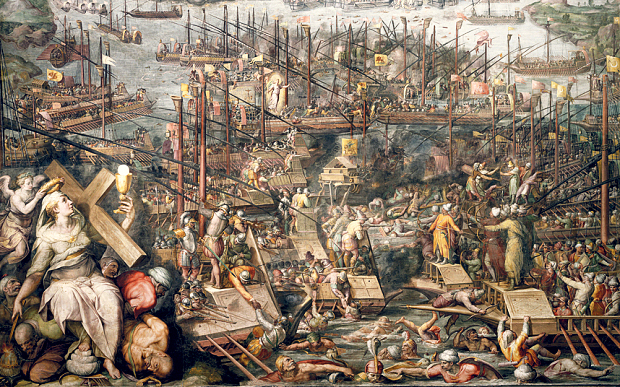 Proprietorial breakdown of the Holy Fleet: Venetian (108 galleys, 6 galleasses); Neapolitan (31 galleys); Genoese (28 galleys); Tuscan-Papal (12 galleys); Spanish (9 certain galleys, 3 possible galleys); Sicilian (7 galleys); Maltese (3 galleys); Savoyard (3 galleys). • Leone of Capodistria under Captain Domenico del Tacco and Vice-Captain Giulio Cesare Muzio. 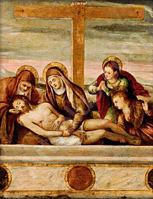 • Cristo Resuscitato of Veglia under Captain Lodovico Cicuta. • San Nicolò of Cherso under Captain Colane Drascio. • San Girolamo of Lesina under Captain Giovanni Balzi. • San Giovanni of Arbe under Captain Giovanni de Dominis. 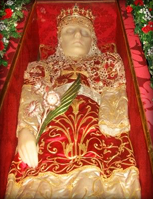 • La Donna of Traù under Captain Alvise Cippico (Luigi Cipoco). • San Trifone of Cattaro under Captain Girolamo Bisanti. • San Giorgio of Sebenico under Captain Cristoforo Lucich. The eighth and final Dalmatian galley, sent from Zara and led by Captain Pietro Bertolazzi, was captured by the Ottomans on July 15, 1571 off the coast of Corfù and never arrived at Lepanto. The Istrian galley Leone and the Dalmatian galleys Cristo Resuscitato, San Nicolò and San Girolamo were part of the Left Wing among the Venetian galleys; the galleys San Giovanni, La Donna and San Trifone were part of the Right Wing among the Venetian galleys; and the galley San Giorgio was part of the Rearguard/Reserves among the Venetian galleys. Most of the crew members on Cristo Resuscitato, San Nicolò and San Giovanni were killed and never returned home. La Donna, San Trifone and San Giorgio were all sunk by the Ottomans. Only San Girolamo and Leone survived the battle and were able to return home to their respective ports in Lesina and Capodistria. As with all things pertaining to Istria and Dalmatia (its history, its heritage, its culture, art, literature, personages, etc. ), revisionists from Croatia have recently latched on to the Battle of Lepanto as if it was their own, and have tried to rewrite history, claiming that the Dalmatian galleys at Lepanto represented “Croatian contribution” and that the men aboard those ships who fought and died were “Croats”. This is part of the ongoing cultural genocide of Istria and Dalmatia, in which the Slavs are attempting to erase all memory of the Italian and Romance people of those ancient Latin regions that were annexed to Communist Yugoslavia after World War II. Merely because Istria and Dalmatia are today inhabited primarily by Croats, modern revisionists pretend that Croats were the primary inhabitants of these regions in the past as well, and that therefore Croats were significant contributors to the Battle of Lepanto – both of these contentions are false. The eight Dalmatian galleys of Lepanto gathered recruits from the cities of Zara, Sebenico, Traù, Cattaro, Veglia, Cherso, Arbe and Lesina. Zara was an Italian city and remained an important Italian stronghold in Dalmatia well into the 20th century, maintaining an Italian majority until the end of World War II. 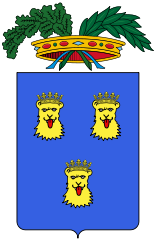 Sebenico was an Italian city for many centuries and maintained an Italian majority until the 19th century; at the end of the 19th century the Italian population of Sebenico shrunk to 20%. Traù likewise remained a predominantly Italian city until the middle of the 19th century. Cattaro was a Latin-speaking (and later Italian-speaking) city for 2,000 years, ever since it was founded by Roman colonists as Acruvium in the 2nd century BC. However, as with many other Dalmatian cities, by the 19th century the Italian population had become a minority in their own land, and Cattaro was divided between Italians and Slavs. In the previous centuries, however, the city had a predominantly Romance and Italian-speaking population. The island and city of Veglia had a well-established Italian and Romance-speaking population, so much so that the last speaker of the local Dalmatian language, Tuone Udaina (who died on June 10, 1898), was a native of Veglia. The urban center of Veglia maintained an overwhelming Italian-speaking majority into the 20th century, and during World War I unanimously voted in favour of being united to the Italian Fatherland. The urban center on the island of Cherso also maintained an Italian majority until the 20th century. Although today Italians have been reduced to just 5.6% of the population, between the two world wars the majority of the population of Cherso declared themselves Italian. 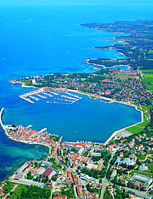 The urban center on the island of Arbe was exclusively Italian-speaking until the early 20th century. In 1921, after World War I, Italy ceded the island to Yugoslavia. Much anti-Italian violence ensued, causing most of the Italian population to flee to Italy, and by 1927 only 100 Italians were left on the island. Like Veglia, the population of Arbe voted unanimously in favour of being united to Italy during World War I. Although Croatian today, the ethnic character of the island of Arbe was very different prior to 1921, and was even more so in the 16th century, when the Battle of Lepanto took place. Lesina, previously an Italian-speaking island and home to many Italian Renaissance figures, shrunk to a minority Italian position by the 19th century. These cities and islands, although Croatian today (due in part to immigration, and in part to forced slavicization, ethnic cleansing, genocide and expulsion), were not Croatian historically; historically each of these places contained a very large Italian population, even into recent times, and Italians formed a majority of the population in these areas until just a century and a half ago. During the time when the Battle of Lepanto took place, in 1571, the areas of Dalmatia from which the citizens were recruited were areas inhabited primarily by Italians, and the leaders were indisputably Italian. However, since the 20th century the Italian names of the Dalmatian galleys have been Croatized: San Girolamo is now called Sv. Jerolim; San Giovanni is now called Sv. Ivan; La Donna is now called Žena, etc. Even the names of the Venetian commanders have been Croatized: Lodovico Cicuta has been changed to Ljudevita Čikute; Giovanni Balzi changed to Ivan Baki or Balzija; Giovanni de Dominis changed to Ivan de Dominis, Alvise Cippico to Alojzije Cipćić, etc. The croatization of Giovanni de Dominis is particularly bold and outrageous, considering the prominence of his family. Giovanni de Dominis was the grandfather of the Italian heretic Marco Antonio de Dominis, who was bishop of Segna and archbishop of Spalato. Both of these men belonged to the De Dominis family, a Venetian noble family of ancient Roman origin from Arbe in Dalmatia. To this same family also belonged the Italian-American statesman John Owen Dominis, Prince Consort of the Kingdom of Hawaii. He was born in New York to the famous Italian sea captain Giovanni Dominis from Trieste (who later changed his name to John upon settling in the United States), and to an American mother Mary Jones. All contemporary sources describe John Owen Dominis and his ancestors as Italian. But now that Arbe is today part of Croatia (annexed to Yugoslavia in 1947; then to Croatia in 1991), suddenly these men are called “Croats” by those who seek to rewrite history. The croatization of Alvise Cippico is equally false and outrageous. The Cippico's were an ancient Italian family which moved to Dalmatia in 1232 and became part of the nobility of Traù. The last prominent member of this old noble family, Antonio Cippico (born in Zara, 1877), was an Italian politician and senator of the Kingdom of Italy. He was also the founder and editor – together with his brother-in-law Arnolfo Bacotich (born in Spalato, 1875) – of the Dalmatian Italian publication ‘Archivio storico della Dalmazia’. Their collection is known as the Cippico-Bacotich Collection, which is one of the most important manuscript collections pertaining to Dalmatian Italians between the 17th and 20th centuries. 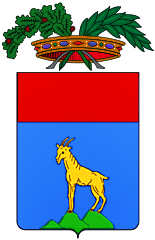 The Cippico family was Italian for centuries, and in the latter stages of its existence it was led by an irredentist who advocated the unification of Dalmatia and Italy. But since the second half of the 20th century, suddenly the Cippico family is called “Croatian” by Croatian nationalists in a desperate attempt to link themselves to a famous historical event such as the Battle of Lepanto. ‘Vita Del Gloriosissimo Papa Pio Qvinto’ (1586) by Girolamo Catena. There are no contemporary Croatian sources on the Battle of Lepanto. Again, contemporary Croatian sources on the Battle of Lepanto do not exist. 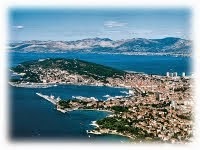 Italian sources exist; Spanish sources exist; but Croatian sources do not. Since the end of the Battle in 1571 many books were published in Italian containing poems, songs, historical accounts and celebrations in memory of the victory at Lepanto; but nothing of the sort exists in Croatian. There exists Italian songs and songs in Italian dialects dating back to 1571, as for example the many songs contained in ‘Canzone nella felicissima vittoria Christiana contra infideli’ (‘Songs of the Most Happy Christian Victory Against the Infidels’), published in Venice in 1571. Music was also composed by Italian composers such as Andrea Gabrieli, Giovanni Croce and Ippolito Baccusi. However, nothing was published in Croatian nor composed by Croats. In the years after the Battle, several paintings, frescoes and artworks were made by Italian artists to commemorate the victory, including by such artists as Paolo Veronese, Tintoretto, Giorgio Vasari, Luca Cambiaso, Jacopo Ligozzi and Carpoforo Tencalla. However, once again, there were no Croatian paintings or artworks in celebration of the “Croatian” victory at Lepanto. Every year from 1572 until the dissolution of the Venetian Republic in 1797, the Doge of Venice would hold an annual procession at the Church of Santa Giustina to mark the victory at Lepanto. No such pomp and circumstance or celebratory traditions in remembrance of Lepanto ever existed among the Croats. The reason for all this is that the Battle of Lepanto is not part of Croatian history, and never was part of Croatian history or memory (that is, not until the birth of modern Yugoslav and Croatian revisionism). The historical truth is that the Battle of Lepanto is part of Italian and Dalmatian history – not Croatian history – and only belongs to Dalmatian history by virtue of Dalmatia being a part of Venetian and Italian history. 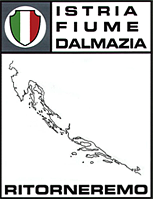 Until the 20th century Dalmatia and Croatia were two distinct entities; the history and heritage of Dalmatia does not belong to Croatia. “Osan galij 'z naših misti suprostiva turskin brodin” (“Eight galleys from our homeland against the Turkish fleet”). The song is a weeping panegyric to Lepanto, with implications that the Venetian galleys of Dalmatia were “Croatian galleys”, and that the sailors aboard the galleys were “Croatian sailors”. It is also often claimed by Croats that this is an “ancient Croatian folk song dedicated to the Battle of Lepanto”, when in reality the Croatian lyrics were written for the first time only in 1984. The song reveals the blatant dishonesty and revisionist attitude of many Croats today who try to reinterpret the history of Dalmatia in light of its present ethnic composition and political status, ignoring its historical ethnic composition, historical Italian culture and Italian history. To give one final example: A miniature replica model of the galley San Girolamo from Lesina is on display at the Croatian Maritime Museum in Spalato, which opened in 1997; highly imaginative artistic license has allowed the Croatian artist to depict the galley as having a Croatian checkerboard pattern sail, which of course did not exist on the original ship, which was Venetian. Italians, including the Italian population of Dalmatia, always celebrated and memorialized the Battle of Lepanto as both a religious and personal event, since it involved both the Catholic religion and the valour and death of many Italians, including Dalmatian Italians. The Croats, on the other hand, had no such popular memory of Lepanto until recently. Literature, songs and memorials in commemoration of the Battle of Lepanto never existed in the Croatian language until the 19th century, when local Italian-Dalmatian folk songs and Venetian texts were translated into Croatian by those eager to steal the Italian culture, heritage and memory of Dalmatia and proclaim it “Slavic”. These are just some of the examples of recent Croatian revisionism on this one particular topic. The ultra-nationalist historical revisionism of the Croats extends to all subjects, all events, and all things that pertain to Istria and Dalmatia: historical events, historical names, personages, artworks, architecture, literature, even food and music – all that belongs to Italian-Latin-Venetian heritage in Istria and Dalmatia is either ignored by Croats or adopted, slavicized and re-branded as “Croatian”. Such historical revisionism is akin to speaking of “English” American Indian chiefs, “Spanish” Aztecs, or referring to the ancient Trojans as “Turks”. To slavicize Italian names, translate Italian songs, adopt local Italian folk culture and then call it “Croatian”, is nothing short of cultural genocide and a gross distortion of history.